We built shudder a house for maximum exposure of the vast array of digital cinema equipment they offered. From High-End Red cameras to equipmwnt vans, they have it all and we showcased it all. Shudder is Atlanta’s Rental Source for Digital Cinema Equipment. They make your life on set easier with top-tier equipment and quality service. 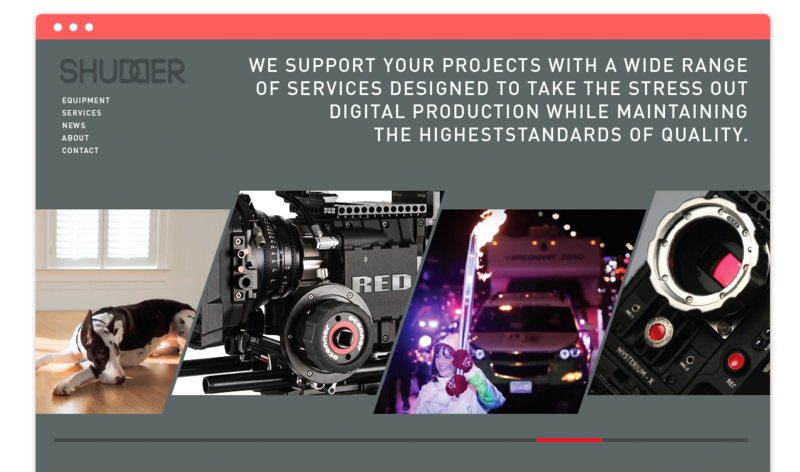 With Arri and Red camera systems, high-end glass, and industry-standard accessories, Shudder can equip you with everything you need to get the job done at a competitive price.